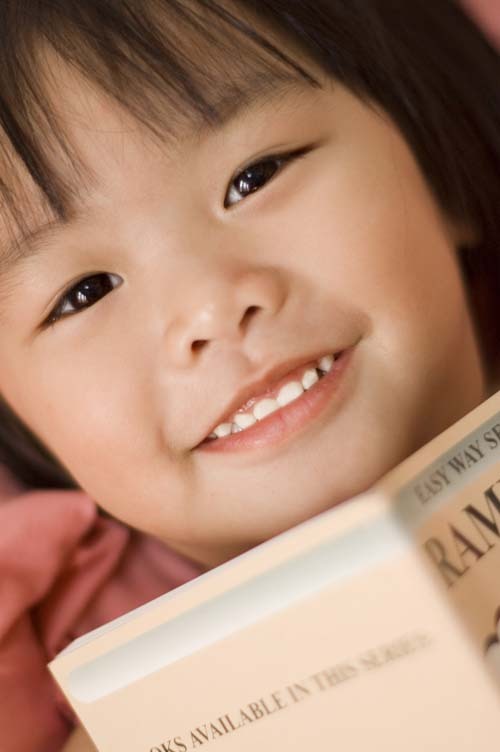 Does early reading make your child smarter? When a child learns how to read at a younger age, it does make her smarter. Not only does it make her smarter than kids her own age, but her intelligence level can rise several grade levels above the curve. The reason for this is because reading increases the size of your child’s vocabulary. It also gives her a wider range of cognitive skills. Both of those go hand in hand with how well she’ll do in school. Reading in early years does matter. When kids aren’t early readers, it can be easier for them to fall behind their peers in class. Plus, when kids aren’t taught reading early, they can struggle with it when they’re suddenly attending school. Because of this struggle, they can learn to feel frustrated or embarrassed. As a result, this could make them not like to read, which in turn affects their academic lives from that point on. This is something most parents don’t want to see happening to their kids. For kids who start school who aren’t early readers, it can also be a struggle for them to be able to grasp sounding words out phonetically. Kids who didn’t read at a young age can begin to struggle in various areas of their schooling, because being able to read is at the heart of many subjects – even instructions for math problems! Yes, even reading math problems can be a challenge. I’ve seen how my Primary 2 and 3 nieces struggled with understanding the questions for some of their more challenging math questions. Even as an adult, I had to read those trickier math questions twice or thrice to understand them well enough! So I can imagine how tough it would be for kids who struggle with reading. By learning how to read at a young age, your child’s ability to read is more enhanced. That’s because he has gained a foundation in understanding the fundamentals of reading skills which makes it easier for him. While other kids are struggling to sound out words, your child can be reading complete sentences smoothly and accurately. Because reading grows your child’s vocabulary, it’s easier for him to pick up on unfamiliar words than kids who didn’t have the benefit of learning to read at a younger age. A young child who’s regularly exposed to reading masters reading fluency faster, and is less likely to become someone who hates to read. And reading helps a child to acquire knowledge. Through early reading, a child improves his thinking skills as well as his ability to reason. These skills help your child understand things such as word problems in math a lot easier than his peers who didn’t have the chance at learning to read young. The amount of time that your child spends reading has an impact on his oral language as well as his memorization skills and writing skills. He’ll be able to express himself more clearly and efficiently. When a child learns to read at a younger age, because of his higher comprehension and vocabulary skills learned through reading, he might end up getting higher grades in school. He might end up with a higher GPA, too. What are your thoughts about early childhood reading? Do you think it has an impact on your child’s intelligence and academic success?